Indiewire a consacré un nouvel article à Damsel et a partagé de nouveaux extraits de son interview avec Robert ! Attention l'article dévoile une grosse partie de l'intrigue du film, donc si vous voulez garder la surprise, passez votre chemin ! 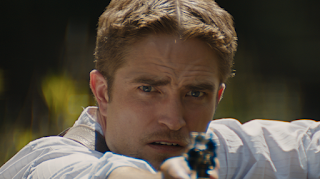 Pattinson’s love for working with visionary filmmakers has been obvious over the last several years. The actor’s post-“Twilight” career has found him collaborating with the likes of David Cronenberg, Werner Herzog, James Gray, and the Safdie brothers, among others. Pattinson’s choices have made him one of the more exciting actors in the business, and his decision to say “yes” to a shockingly limited role in “Damsel” just for the chance to work with the Zellner brothers might just push him to the top of that list.